Agrofuels are often promoted by the agrofuels industry, investors and government officials as a means of providing livelihoods for rural communities, but how does this square with the fact that agrofuels are part of the landgrabbing problem in countries like Indonesia? An Indonesian activist perspective on renewable energy, following a visit to a community wind project in Belgium. 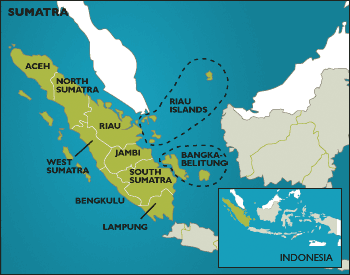 Ecological justice in Indonesia: in whose hands for the next five years? In April the Indonesian people elected their paliamentary representatives. Partai Demokrat, the party of incumbent president Susilo Bambang Yudhoyono (SBY), secured the strongest position with around 20% of the seats. On 8th July are the elections for president and vice-president, with three pairs of candidates in the running: SBY and Boediono, Megawati and Prabowo, and Jusuf Kalla and Wiranto. What are the prospects for ecological justice?